2016 was our first year, and for us it was a successful year. After months of planning we took our salvage operations to YNOT Festival, Boomtown Fair, V Festival (Chelmsford), Reading Festival and Leeds Festival. Here we collected several thousand much-needed, perfectly usable items such as tents, sleeping bags, tarps, roll mats, waterproofs, clothes, food, and toiletries. Out of what we reclaimed, the majority went to Syria thanks to ‘Don’t Hate, Donate’ and ‘Anaya Aid’, to provide aid for the people suffering the never-ending devastation being caused there, and all of the remaining salvaged goods went to amazing local homeless and refugee support groups. 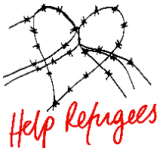 In 2017 we expanded our network to work with more charities including ‘Herts for Refugees’ and ‘Help Refugees’, and we attended Download Festival as well as the events from 2016. 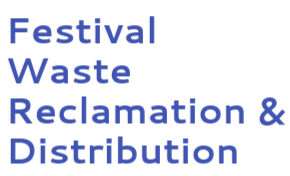 Despite what we managed to reclaim, time constraints imposed by the festivals and a limited number of hands meant that we were only able to gather around 2% of abandoned goods and do not under any circumstances want our work to become further justification for festival-goers to leave behind their possessions. If you are attending a festival this summer and would like to leave your tent behind as a donation please find a member of staff or a lovely representative from Help Refugees who will be attending a number of festivals this summer in order to raise awareness and collect unwanted kit. We would like to thank the festivals for their cooperation, especially Boomtown Fair for giving us more time to do our work. Our gratitude also goes to IHR, DHD, Anaya Aid, Derby Refugee Solidarity, Herts for Refugees, Help Refugees, and the many strong, caring individuals for being so ready and willing to get stuck and help make a difference not only to reduce landfill waste but also to help those who are currently unable to help themselves. It is incredibly appreciated and we look forward to seeing you again this summer! 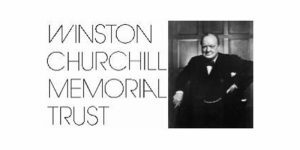 This summer we would like to improve on our achievements of the past so if you would like to get involved please do not hesitate to get in touch as we are always in need oF more helping hands! Salvaged goods go to homeless and refugee support groups.